For your spring-cleaning agenda this year you have a choice to make: Should you get your sofa’s upholstery clean by a professional company or do you finally need to replace the whole thing? That question can actually be applied to several pieces of furniture throughout your home. Is it worth investing time and energy cleaning and polishing something that you’d like to get rid of? Perhaps if you were to take the day for little furniture shopping, then you would become convinced that there are some great options out there that can transform your home. Once you selected your new pieces, you have to deal with the old furniture removal. That is easy to take care of with one call to Junk King North San Diego. The Junk King crews are equally adept at removing a big item like a sectional sofa as they are with a small item like a single dining room chair. Their first approach is to decide the best way to remove that out of the home without causing any damage to floors or walls. Once that peace is safely out of the house it will then be loaded onto the Junk King truck. This is where more of their experience kicks in. They going to be looking for ways to pack in as much furniture into his little space as possible. It can almost be like a game of Tetris with a sofa, chairs, love seat and recliner. There putting in this extra effort to make sure they utilize as little space as possible in order to leave room for the next client. They also want you to get a great deal on the service and the less room they use, the less you will be paying. The bulk of what gets collected by Junk King can be targeted for being repurposed. Junk King has set up partnerships with many charities throughout the area. They know these organizations are looking for any given time. Your old sofa might have value for them. The same can be said for a lot of the clothing and other household goods you getting rid of. Junk King will strive to make sure those usable items are dropped off at the charities. You should feel good about getting rid of your unwanted items knowing they could be put back to work for someone else. Your old furniture removal is going to be easy when you turn that job over to Junk King North San Diego. Set up your session today. This entry was posted in San Diego Junk Removal and tagged furniture removal, Junk King, junk removal on March 31, 2019 by Junk King. Last updated March 31, 2019 . The kitchen remodel is one of the most popular renovations homeowners undertake. It’s very exciting to finally be able to create the “dream kitchen” that you wanted since moving into the home. The first phase of that renovation will involve demolition. Yes, it will be time to say goodbye to that old kitchen. You might also be saying goodbye to your old appliances. Whether you are swapping out all the kitchen appliances or just replacing one of those items, you need to make room. One call to Junk King North San Diego can help with that goal. Movers who have been working in this type of industry for a few years know all the “tricks of the trade.” That includes using straps instead of a dolly to help remove something like a refrigerator or washing machine. It might not look secure but an experience mover knows how to make that happen without causing any damage. The Junk King crews are staffed by experienced movers. They also have a terrific attitude making them a very friendly team to work with. That experience comes in handy when it’s time to pack up the truck. It might not seem that complicated to the truck with a bunch of old appliances and other rubbish. But the Junk King crews have a plan. They want to get as much onto the truck in as little space as possible. The reason they do that is to save you money. The Junk King pricing policy is based on how much space your stuff will fill in the back of a truck. The less amount they use less you’ll be paying. You’ll know exactly what that prices for the work begins. If it turns out that your stuff takes up more room, then you’ll still pay that original price. That’s a very fair approach. Although your primary focus is to get rid of that old refrigerator or stove, you don’t have to stop there. As long as you have the Junk King crew rather truck why not put in the work clearing out the rubbish from the rest of your home? Take advantage of that moving expertise to bring things down from upstairs if needed. Imagine all the great space you can take back once all that clutter is gone. Getting rid of your old appliances and rubbish is a job that was tailor-made for Junk King North San Diego. Put them to work today. You will be glad you did. This entry was posted in San Diego Junk Removal and tagged Junk King, junk removal, old appliances on March 26, 2019 by Junk King. Last updated March 26, 2019 . When you get right down to it, you don’t need a good excuse to get rid of junk. You only need a little help. Of course, the fact that you are about to tackle your big spring cleaning project is the kind of opportunity for you to go through every room in the house and assess just what you need and what you can get rid of. Once the determination has been made as to what you can remove from your home, it will be time to hire Junk King North San Diego. These are the junk hauling pros that can help you take your spring cleaning to a whole other level. Deciding whether something can be classified as a junk item relates a lot to its potential use. For instance, if you replaced an old television with a new HDTV and that old television is now wrapped in a blanket out in the garage, then it could be considered junk. Would you ever plug it in again? Would anybody want to buy it? The issue then becomes, why are you holding onto it? Another example would be a piece of furniture in a bedroom or living room. Maybe it is still being used but it is something that you want to get rid of and replaced simply because it’s worn out. Should you spend the time vacuuming that piece for your spring cleaning? Instead, turn it over to Junk King. The moving crew who will be assigned to your session will be showing up with a very positive attitude. Even though you might think bringing down a piece of furniture from upstairs is a challenge, it is something that the Junk King crew does every single day. Regardless of the size or weight, don’t hesitate to ask the Junk King crew to remove the things that you want to get rid of. 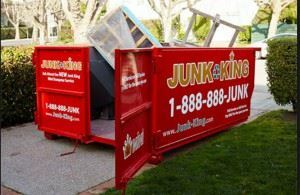 You can set up your junk removal session with Junk King North San Diego before you start spring cleaning or after you are finished. Either way, your home is going to look great without any junk. This entry was posted in Uncategorized and tagged Junk King, junk removal, spring cleaning on February 28, 2019 by Junk King. Last updated March 2, 2019 . Whenever there is a heavy rainstorm, the National Weather Service kicks into overdrive with their monitoring. They have a standard to determine if a flash flood is imminent and they do a good job of putting out those alerts. Of course, those alerts are really meant for homes in designated flood zones. Recently, one of those heavy rainstorms swept through Oceanside and the flash flood warnings were issued. Do you live in a designated flood zone? Has your home ever been damaged by the rains? Hopefully, you’ll never need a storm debris cleanup but if you do, then it is good to know that a company like Junk King North San Diego is standing by to help. Junk King prides itself with providing a rapid response for all of their appointments. Most sessions are completed with a 24-hour turnaround. However, when there is storm debris that needs to be cleaned up, Junk King strives to make those calls a priority. Getting water-damaged items out of a home is vital to prevent the spread of mold. It also helps with the drying out of everything else. Junk King will provide the moving crew and truck big enough to accommodate any level of storm debris removal. Outside of the storm debris cleanup, Junk King is always ready to help with any kind of junk removal from your home or business. What bulky items do you need hauled away? Those two movers can do a lot of great work loading up furniture and appliances. They can also help take apart backyard playground sets and even a hot tub. The costs for Junk King’s service is extremely fair. They charge a flat fee based on how much space your stuff is going to take up on the truck. That fee covers all the labor, transportation and disposal. That disposal might include dropping off items at a charity or recycling center. You don’t have to sort your items. The Junk King crews can handle that. It is all part of the service. Whether you need fast storm debris cleanup or general rubbish removal from your Oceanside home, Junk King San Diego remains the best call to make. This entry was posted in San Diego Junk Removal, Uncategorized and tagged Junk King, junk removal, Oceanside, storm debris on February 25, 2019 by Junk King. Last updated February 25, 2019 . Not every resident of Oceanside literally lives by the side of the ocean. But it is close enough to the shores to have this community considered as a genuine “beach town.” That certainly sets it apart from other communities. You just can’t help but feel in a good mood whenever you’re surrounded by those ocean vibes. It also means that folks around here take a lot of pride in their property. Oceanside is a great place for out of town visitors and we always want to look our best. Fortunately, there are some companies that can help with this goal. At the top of the list would be Junk King North San Diego. These are the professional junk haulers that make clearing out rubbish from your property easy. The biggest challenge for getting junk removed from your home is deciding exactly what you want taken away. Of course, this is only a challenge depending upon how much sorting you want to do through all your closets and boxes in the garage. It might be that you already know of a few big pieces that you’d like to get hauled away immediately. You can always hire Junk King to clear out the big stuff now and then come back for boxes and bags of little things. Of course, if you are ambitious enough to do a thorough sorting throughout the entire house then it won’t be a problem for the Junk King squad. Their truck can certainly hold a lot of stuff! You can also think beyond the inside of your home when it comes to junk removal. What kind of structures are in your backyard that could be cleared out? The Junk King crews won’t have any trouble bringing down a swing set, gazebo, toolshed or even packing up a hot tub. These are all the kinds of things they’ve already handle. Dismantling structures might take a bit longer but you will be paying any extra for the labor costs. Your fee includes all the work done by the crew, the transportation and the disposal. And that fee will be determined by how the truck gets packed up by the crew. It’s all about the space with Junk King and not about the weight. If you were to price out this kind of work to handle on your own, then you could end up paying twice as much is what Junk King is offering. Keep your Oceanside property clear of junk with a little help from Junk King North San Diego. They’re standing by to help. This entry was posted in North County San Diego Junk Removal, San Diego Junk Removal and tagged Junk King, junk removal, Oceanside on January 31, 2019 by Junk King. Last updated February 1, 2019 . Is going to be a lot of cleanup across San Diego the coming year. The San Diego Coastkeeper and the San Diego chapter of the Surfrider Foundation have planned around 40 cleanup events. These are the same folks who coordinated trash pickups all last year with some very impressive numbers. The most litter picked up was removed from Fiesta Island and weighed in at around 2,767 pounds. The second and third most trash was found at Mission Beach and Oceanside. Of all that trash, 52% consisted of plastic bags, straws, cups, Styrofoam and food wrappers. There was also 26% of cigarette butts snagged by volunteers. All this points out that the power of volunteers never fails to surprise. It also means that too many people are littering our beaches and that has to stop! Thinking about cleaning up the beaches should have you thinking about cleaning up your own home. It’s not just about light dusting and wiping down counters but instead getting rid of all the rubbish. You might be holding onto some bulky items simply because there’s no easy way to get rid of it. That can all change with one call to Junk King North San Diego. This is a company that is part of a nationwide chain of professional junk haulers. To carry the Junk King brand means adherence to high standards when it comes to serving the public and Junk King North San Diego is proud to perform up to those standards and beyond. The Junk King approach to junk hauling is simple: they’re going to send over a pair of movers with a big truck. You show the movers what you want taken away in the remove it right from the spot. That means any size item of any weight on any floor can be swiftly pick up and loaded onto the Junk King truck. These crews have had experience removing things like sectional sofas, treadmills, refrigerators, washers and even backyard swing sets. There’s nothing you could throw at them that they haven’t already loaded up on a previous occasion! Junk King also works fast. Most appointments are completed within 24 hours of your first contact. Hire Junk King to find out how easy it is to get rid of all your unwanted rubbish. All the junk you been holding onto for years could be gone by tomorrow! This entry was posted in San Diego Junk Removal and tagged junk hauling, Junk King, junk removal on January 26, 2019 by Junk King. Last updated January 26, 2019 . Better Have a Permit for That San Diego Dumpster! Right? In most US cities, it’s a requirement to obtain a permit to park a dumpster on the side of the road, and San Diego is no exception. More accurately, you need to pay for the right to obstruct pedestrian and drivers’ right of way, and the laws to prevent congestion and accidents vary from city to city. It’s crucial to be familiar with the rules and regulations surrounding a San Diego dumpster before having it placed at the roadside, but fortunately, the permit usually costs less than $100, and it isn’t actually required in many situations. If you have enough space on your driveway for a dumpster, you can rent a mini dumpster from a junk removal company that operates in your area, and you don’t need to get a permit. You can keep a 12-yard dumpster on your driveway without a permit for as long as you need, and leading companies only charge for the amount of dumpster space you use. However, if you need to park a dumpster on the road for any reason, read this article, learn the requirements, and avoid getting a penalty. Why Do I Need a San Diego Dumpster Permit? A dumpster permit allows you take up road space that’s reserved for pedestrians and vehicles. However, you need to follow strict rules set out by the City of San Diego to avoid causing too much of an obstruction, and failure to do so usually results in a fine. Fortunately for San Diego residents, the dumpster permit cost is more than fair, especially when compared to other major US cities. Depending on why you need a dumpster, you might have to pay for a few more permits than just the right of way permit detailed above. You require a construction permit if building an extension or demolishing a structure, and the penalties for failing to comply with those laws are usually harsher than with the right of way permit. It’s worth applying for your permit as far in advance as possible because you must have it before your dumpster arrives. Provided your street is long and wide enough, you shouldn’t have too much difficulty getting your permit on time, but it’s worth checking if you can actually place one on your street before bothering with the application. You can’t place a dumpster next to a painted curb, such as passenger loading or disabled parking areas. You can only occupy street space that’s directly in front of your premises. Your dumpster can’t take up any room in front of another residence or business. You need to place compliant ‘No Parking’ signs around the area where you’ll put your dumpster 24 hours before it arrives. You should put a barricade with a flashing light on either side of the dumpster when it arrives. There must be a clear space of at least 10 feet between the dumpster and the next nearest obstruction and 25 feet between the next curb return or alley. You also need to check your street is wide enough to accommodate a dumpster without causing congestion. The minimum width is 32 feet if cars can park on just one side and 36 feet if vehicles can park on either side. Again, most companies that offer dumpster rental in San Diego will be able to tell you whether you can have a dumpster on the road, and the permit fee is $73. Make sure to get the permit before the dumpster arrives and check that it can be placed on the street legally to avoid receiving a fine. If you have a driveway that’s large enough to accommodate a mini dumpster, you don’t need to concern yourself with permits or understanding and following rules. If you’re spring cleaning the house from top to bottom, clearing out the garage, removing the debris from a residential revamp, or landscaping, a 12-yard dumpster likely has ample space to accommodate the resulting waste. The best junk removal and dumpster rental companies provide dumpsters designed for a typical driveway, and they make minor adjustments to ensure they won’t cause any damage. However, it’s important to remember that you can’t fill the dumpster higher than its sides because the rental company can’t transport overfilled dumpsters legally. If you’re replacing an entire roof’s worth of shingles or demolishing a structure such as a freestanding garage, you’ll probably need a dumpster with a capacity larger than 12 cubic yards, which likely also means having to buy a permit and place it on the street. Unfortunately, if you only need a mini dumpster but have nowhere on your property to place it, you’ll also need to pay the same permit price to park it in front of your home if it causes a public obstruction. You might not necessarily need a San Diego dumpster if you’re trying to get rid of a relatively small amount of stuff. You could contact a junk removal company if you only have 12 cubic yards’ worth (or less) of waste, and that would mean you could avoid doing any of the hauling. Of course, dumpsters give you the flexibility to gradually dispose of waste over a few days, but a junk removal company can retrieve waste in the space of a few hours if you’ve no need to keep a dumpster for an extended period. A city the size of San Diego offers plenty of choice regarding dumpster rental companies, but it’s best to find one that prioritizes the environment and safe disposal, guarantees to deliver and retrieve the dumpster on time, avoids damaging the roadside or driveway surface, and offers a fair price. Junk King is the nation’s number one junk removal and dumpster rental surface because it ticks all the boxes. 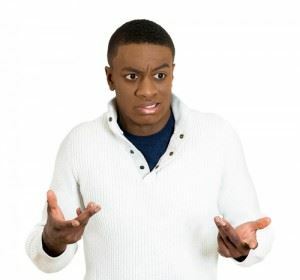 The professionals at Junk King can often deliver mini dumpsters the same day you place an order, and they’ll call you 15 minutes before setting off to check that everything is ok and you’re ready to receive the dumpster. Just as importantly, they’ll retrieve the dumpster three days later, so it doesn’t steal your driveway for any longer than necessary. In addition to our excellent time keeping skills, we also guarantee a fair price. Unlike most companies, we only charge for the amount of dumpster space you use instead of charging a flat rate, and we take preventative measures to ensure our dumpsters don’t damage your driveway. Better still, we aim to recycle at least 60 percent of what we collect – a target we usually beat – and we achieve that by having on-site sorting facilities and dedicated employees. San Diego dumpster rental, fortunately, only requires a permit if you need a receptacle that takes up street space primarily reserved for public use. If you need a mini dumpster placed on your driveway, you don’t have to worry about breaking the law or spending your hard-earned cash on a permit. 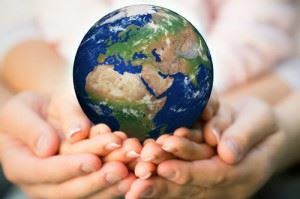 Plus, as the nation’s number one waste retrieval service, we’ll make the process as easy as possible for you. Drop us a line today to see how easy dumpster rental in San Diego is. This entry was posted in Uncategorized and tagged Junk King, junk king san diego, junk removal san diego on July 20, 2017 by Julian Torres, "JT". Last updated August 8, 2017 .